Based on the same platform as the Fusion, the 2015 Lincoln MKZ 3.7L AWD is completely night-and-day different. With Lincoln’s Concierge Service thrown in – what’s not to love? The grill is interesting and according to Lincoln designers it’s supposed to evoke the look of ‘a bird’s wings’ I suppose they’ve accomplished that. 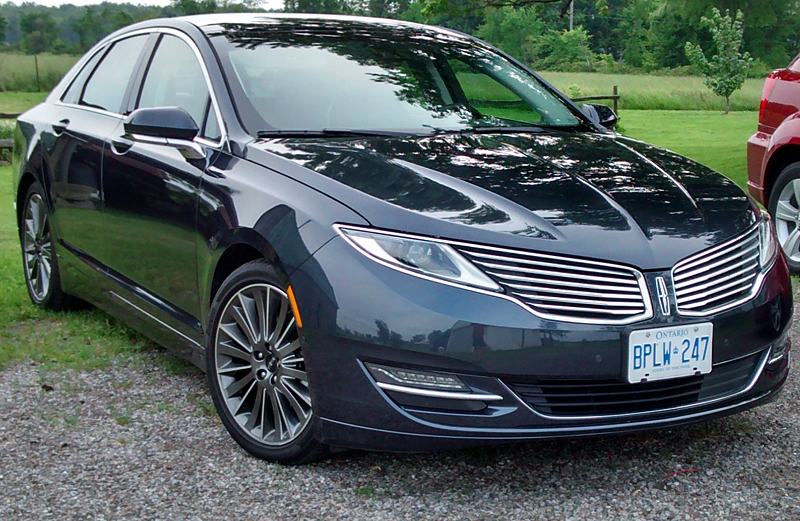 For what I used to consider an “older” guy’s car, I have to report – THIS Lincoln is not your father’s car, and I think if Ford could get more people to drive this one, they’d make some serious in-roads on the mid-size luxury car market. Last year Ford announced they were plowing $5 billion into making Lincoln a true player in the near-luxury and luxury market. The front grill was quite polarizing: People either loved it or hated it – and said so right away. As for myself, initially I viewed it with complete indifference, however, after a couple of days I did change to the ‘like’ category. The centre dash is quite unique. At the top is the push-button start, and then PRND and S are chosen using buttons instead of a shifter or dial – very different. One word describes the seat: Fabulous! The driver and front passenger get standard leather heated 10-way power-adjustable with 2-way power lumbar. Test vehicle had the phenomenal massage feature. You have to feel it to believe how good it is! The Adaptive Cruise Control is a nightmare waiting to happen. It insisted on leaving 7-8 car-lengths between me and the car in front. If you’ve ever driven behind someone that insists on leaving landing room for a Jumbo Jet, then you know how big a space this is. I’d be coming up behind someone and before I could even change lanes to go around them, the car slowed down – in some instances quite dramatically. 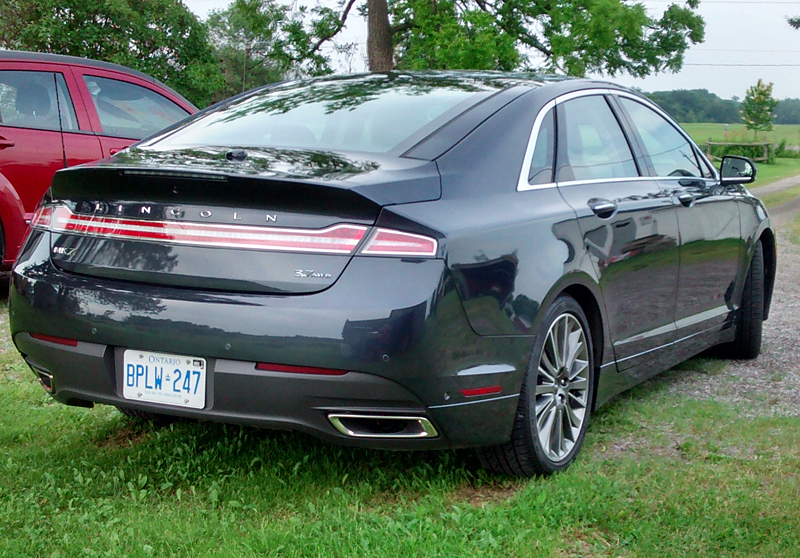 Imagine this scenario: You’re driving along the highway at 70 mph and someone else enters doing 40 mph – happens all the time in Ontario – the MKZ would slam on the brakes to make sure I left 7-8 car lengths between me and the on-coming speed-bump. Can we say rear-end collision? This isn’t safety – this is dangerous. Thankfully you can choose to turn this option off. The 50-75 mph overtaking maneuver is actually closer to 95 mph – this thing flies!! While the Technology Package is not unreasonably-priced at $2,450 (includes: Active Park Assist; Adaptive Cruise Control; Lane Change Keeping) I’d give it a miss…simply because, in my opinion – If you can’t parallel park, you shouldn’t be driving a car – Ditto for staying between lanes…and don’t get me started on the Adaptive Cruise Control! Adaptive LED Headlamps – As you turn, the adaptive LED headlamps follow the angle of the wheel and vehicle speed to allow a greater field of vision. 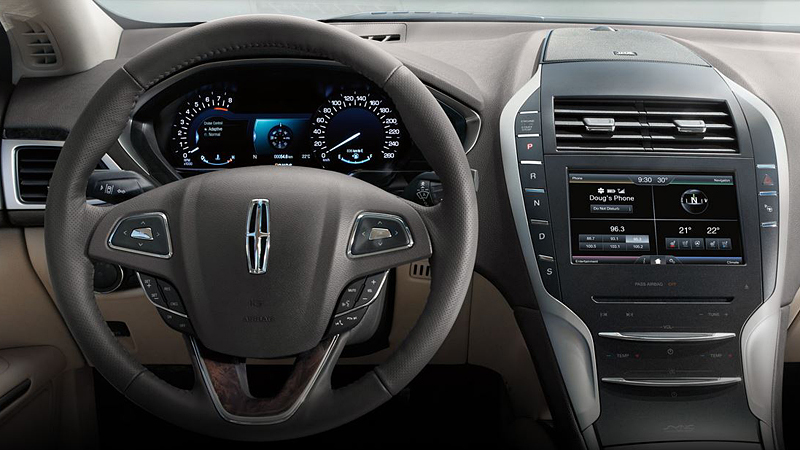 Lincoln Drive Control: With Continuously Controlled Damping the MKZ uses an advanced suite of sensors that constantly monitor suspension motion, body movement, steering, and braking, with up to 46 inputs every 2 milliseconds. NOTE: The hybrid and 2.0L Eco-Boost FWD versions start at $35,190 (including Destination & Delivery). 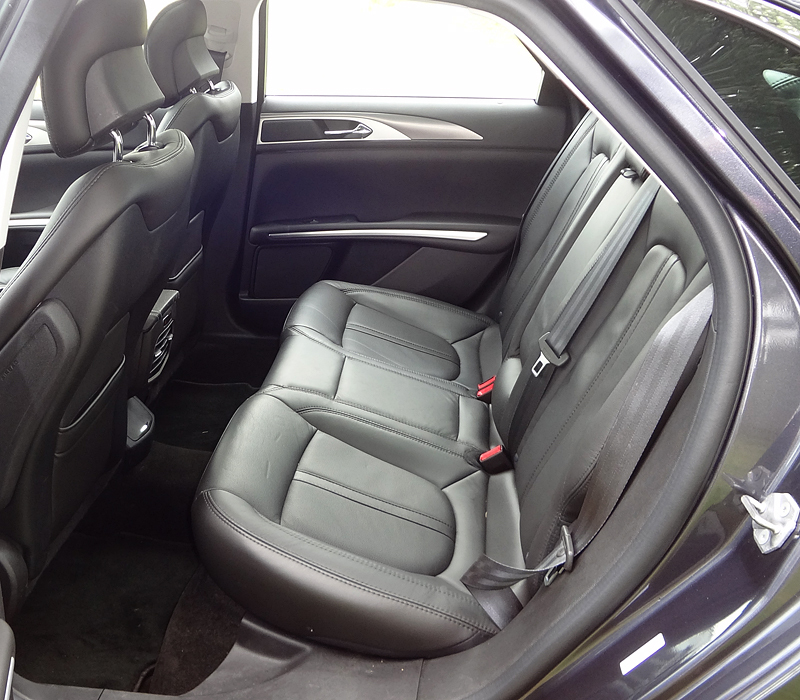 The massage and cooled front seats – LOVED them! Gobs of power and near-silent ride put this car high on the must-have list. The bad … really disliked the Adaptive Cruise Control. Although I didn’t love the front grill, over the week it did become less offensive to my eyes. One thing for sure is it wouldn’t stop me from buying/leasing this car. All the other attributes pale in comparison to the grill making it a non-issue for me. This is one sweet ride and I’d recommend it highly to anyone in the market for this type of car. It far exceeded my expectations, and with the hybrid version available at the same price – no-brainer, you get to have your cake and eat it too.